During the Fall of 2017, webinar trainings in each of the NADD Dual Diagnosis Specialist Certification competencies were offered. These sessions were recorded and are now available as DVDs. The individual DVDs are available at $55 for NADD members and $70 for non-members. Purchase the set of six and save 33% off the cost of purchasing the individual DVDs. The six-DVD set costs $220 for NADD members and $280 for non-members. 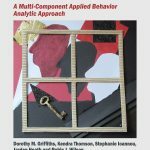 Multi-Modal Approach is an important part of the first in a 6-part training series designed to assist preparation for the NADD Specialist Dual Diagnosis Certification. This presentation will familiarize the participant with the bio-psycho-social approach which is the best practice standard for supporting individuals with an intellectual disability and mental illness. Communication drives effective supports, significantly impacting the quality of life for each person with a Dual Diagnosis. 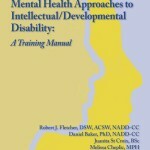 Professional, Person Directed and Person-Centered communication techniques are defined and discussed as primary tools for all Dual Diagnosis Specialists. Dual Diagnosis Specialists play an important role in ensuring appropriate services for persons with co-occurring disorders. The ability to work across systems, monitor outcomes, and arrange for appropriate services are required. 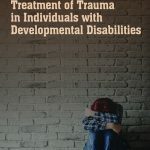 It is important that people who care and work with people with a dual diagnosis can identify and have knowledge of effective trauma informed approaches. Understanding the approach and the skills that will be developed are an intricate part of being able to identify and assist in finding a provider who can deliver these types of approaches. These resources while available, are sometimes difficult to find. A review of resources and the available modalities will be discussed. The understanding of assessment and existing best practice is crucial for a D.D.S. Certification applicant. This webinar focuses on helping applicants to know what the expectations are in regards to understanding assessment and best practice. This will review the elements of administrative critical thinking for people seeking certification as a NADD Specialist.